Improving water, sanitation and hygiene services at health care facilities could save more than 1 million mothers and newborns each year. Every day, 7,000 newborn babies die. 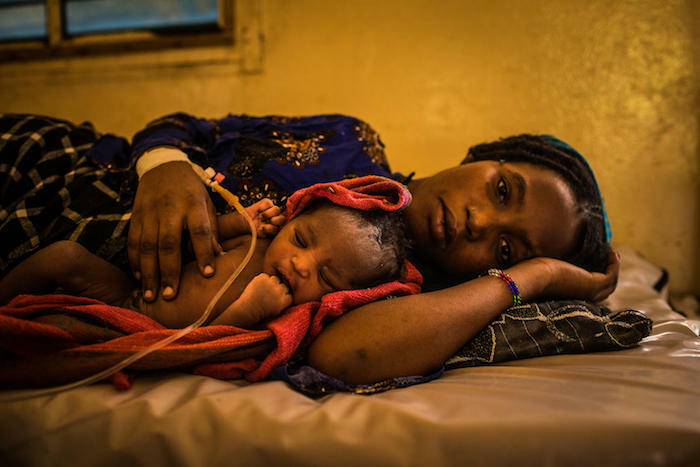 But more than 80 percent of all newborn deaths are caused by preventable and treatable conditions including infections like sepsis, meningitis and pneumonia. Being born in a clean environment enormously increases a baby's chance of survival. Yet one in four health care facilities around the world lacks basic water services, impacting 2 billion people, according to a new report by the World Health Organization (WHO) and UNICEF Joint Monitoring Program for Water Supply, Sanitation and Hygiene (JMP). "When a baby is born in a health facility without adequate water, sanitation and hygiene, the risk of infection and death for both the mother and the baby is high," said UNICEF Executive Director Henrietta Fore. "Every birth should be supported by a safe pair of hands, washed with soap and water, using sterile equipment, in a clean environment." The WHO/UNICEF JMP report, WASH in Health Care Facilities, also finds that one in five health care facilities has no sanitation service (unimproved toilets or no toilets at all) and many health centers lack basic facilities for handwashing and safe segregation and disposal of health care waste. These services are crucial for preventing infections, reducing the spread of antimicrobial resistance and providing quality care, particularly for safe childbirth. 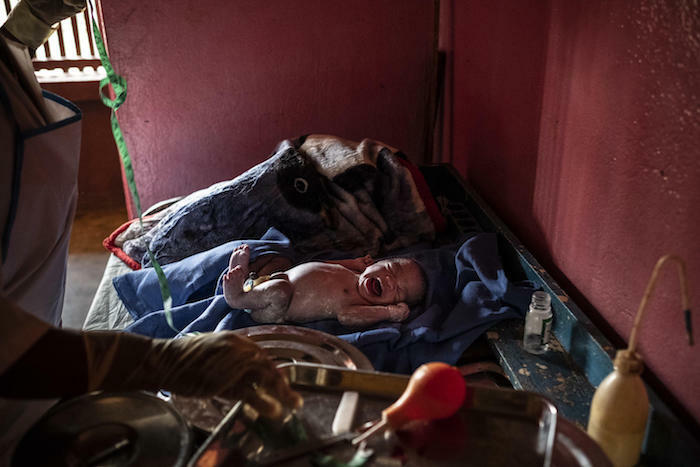 More than 1 million deaths each year are associated with unclean births. Infections account for 26 percent of neonatal deaths and 11 percent of maternal mortality. The WHO/UNICEF JMP report found that just half — 55 percent — of health care facilities in the world's Least Developed Countries (LDCs) had basic water services. It is estimated that one in five births globally takes place in LDCs, and that, each year, 17 million women in these countries give birth in health centers with inadequate water, sanitation and hygiene. "Imagine giving birth or taking your sick child to a health center with no safe water, toilets or handwashing facilities," said Dr. Tedros Adhanom Ghebreyesus, WHO Director-General. "That's the reality for millions of people every day. No one should have to do that, and no health worker should have to provide care in those circumstances. Ensuring that all health care facilities have basic water, sanitation and hygiene services is essential for achieving a healthier, safer, fairer world." In an accompanying report, Water, Sanitation and Hygiene in Health Care Facilities: Practical Steps to Achieve Universal Access for Quality Care, WHO and UNICEF outline eight actions governments can take to improve the WASH services in health care facilities including establishing national plans and targets, improving infrastructure and maintenance and engaging communities. UNICEF's Every Child ALIVE campaign calls for governments and authorities to make sure every mother and baby have access to affordable, quality care. Please support UNICEF's work to strengthen primary health care systems and give every child the chance to reach their full potential.